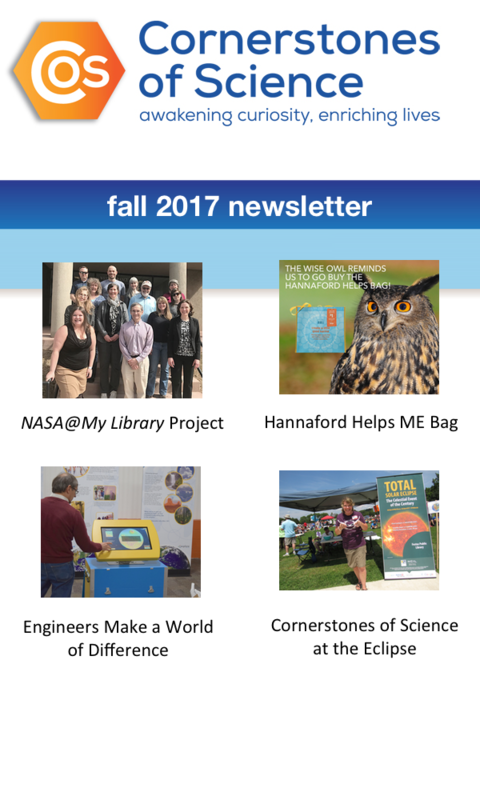 A resource for high-quality Science, Technology, Engineering and Math (STEM) activities that are appropriate for library use. Learn about the August 21, 2017 eclipse that will span North America. NASA created this website to provide a guide to this event, helping you find activities, events, broadcasts and resources from NASA and its partners across the nation. Website of the STEM for All project, helping to expand the integration of science, technology, engineering, and math (STEM) content into out-of-school time programs across the country, and contribute to statewide systems of support for integrating STEM activities and projects into after school programs. Find fun, engaging and enriching activities, games, projects and kits for children from Pre-K through 8th grade, geared to building a life-long interest in science, technology, engineering and math. President Barack Obama discusses the initiatives and goals he puts in place—in clean energy, space, medicine, education, nanotechnology, and more. With one year left in the Oval Office, the president talks about what he’s achieved, what’s left to do, and why being a nerd is one of the best ways to serve your country. To help library and community leaders use the report, Rising to the Challenge: Re-Envisioning Public Libraries, The Aspen Institute created the Action Guide for Re-Envisioning Your Public Library, version 2.0, a set of resources for convening a community dialogue and helping communities take action to re-envision their own public library. A mother’s advice about how to encourage your child’s interest in science, technology, engineering and math.